The recent article “Medjugorje: Communists against apparitions” published in La Stampa (2011-09-08) under the heading “Inquiries and interviews” perplexes me. – and Italian journalist, Antonio Socci, author of Medjugorje Mystery (2004) published by Piemme Editions. Although Tornielli’s article is published under the heading “Inquiries and interviews”, it doesn’t appear that the Italian vaticanist has interviewed for his article one or the other among the four authors of that book. – the firm opposition against Medjugorje from Bishop Zanic’s successor is an eloquent reason why the actual Ordinary of Mostar has not been called to be part of the Commission appointed by the Pope. The day after the publication of his article in La Stampa, Mr. Tornielli announced to the friends of his Blog that he didn’t want to address the question of the authenticity of the apparitions but rather to document the pressures, threats, attempts — and success (?) — by the Yugoslav communist regime to influence the opinion of the Church. Well, that piece of journalism, concocted especially by a vaticanist, puzzles me. My main concern is Mr. Tornielli’s insidious attack against the intellectual, spiritual and pastoral integrity of the former Ordinary of Mostar, Mgr Pavao Zanic, by an interposed Croatian Medjugorje propagandist. The Italian journalist doesn’t “document” anything, doesn’t verify anything: he copies/pastes very serious allegations without granting his readers any factual historical retrospective. Is Mr. Tornielli so ignorant of the facts concerning Medjugorje that he blackens Mgr Zanic’s integrity and reputation by identifying him as a blind marionette of the Yugoslav communist regime? Could it be a case of wilful ignorance? 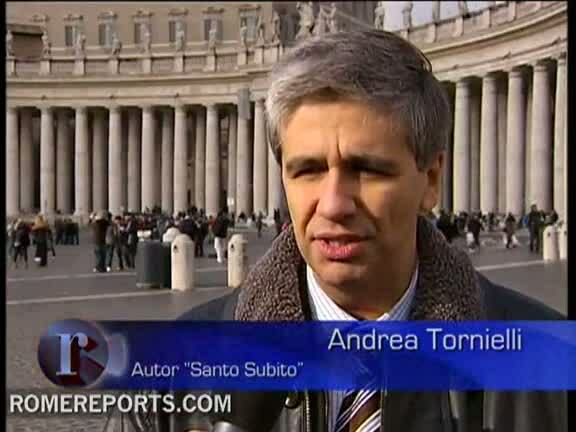 Why does he call, in his article, for the help of another Italian Medjugorje propagandist, his colleague Antonio Socci? Does he intend to influence the work of the members of the Fourth Commission as did René Laurentin for the Third one? In the next article, I will try to set the record straight on Mgr Zanic’s position and show how Mr. Tornielli’s readers may be ill-informed by abuse of inadequate journalistic tools. I believe that the Vatican Commission may make its negative statement this year and I’m wondering what we can do to help the millions of confused souls pick up the pieces of their spiritual lives. I have been following the Medjugorge madness since the end of June 1981. I knew Father Sivric personally and have seen how this sham has inflicted gaping wounds to the Mystical Body of Christ and most especially to the integrity of true devotion to Mary. Mr. Belanger, if you read this post would you please reply I would like to get in touch with you. But independent from that hundreds of facts lead to the conclusion that Medjugorje is a farce and the biggest hoax in recent times. This is self-delusion at the end of its tether. The lengths to which the promoters of this diabolic deception that Medjugorje is – and it is diabolical – are astounding. The whole charade of Mudjugorje was well and truly demolished twenty years ago by these people: Frere Michel in France, Hamish Fraser in Scotland, Brother Francis, MICM in the US and Michael Davies, in Britain. Since then many others have built upon this research and have further exposed this for the deception that it is. Unbelievably, this dog-and-pony show is still going on after all these years with “Our Lady” voicing one banal cliche after another since 1981. How long-winded she has become since Lourdes and Fatima! Medjugorje is the perfect illustration of what happens when people forget the infallibly-defined dogmas of the Church and run with their emotions instead. The Church has defined, infallibly, three times, that outside the Catholic Church there is absolutely no salvation. Yet the oracle of Medjurgoje assures us instead that “all religions are pleaseing to God”. Now since Our Lady cannot speak heresy, since that is an impossibility, we can conclude on that point alone that Medjugorje is a tragic farce, a fake and a horrible delusion. As promised, here is my answer to the points that you brought up. – In the next article, I will try to set the record straight on Mgr Zanic’s position and show how your readers may have been ill-informed by abuse of inadequate journalistic tools, such as the hypnotic argument of the “Communism Hypothesis”. Because of friends’ solicitations I was tempted to do some research on the “Medjugorie phenomenon”, for passion and not from “professional”. The attempt a not believing to believe was to induce. To every way after reading his article I was moved by the wish to take back another fact version, for what I was able to pick up as sources, and not convinced on as it was proposed with the article of Mr.Tornielli, I looked for to give one (my) answer as established. I hope that Mr. Tornielli can read my reflection and if he wants to correct any “mistake of mine” I will be pleased to take act well. A causa di sollecitazioni di amici sono stato invogliato a fare qualche ricerca sul “Fenomeno Medjugorie”, per passione e non da “professionista”. Ad ogni modo dopo avere letto il suo articolo sono stato mosso dal desiderio di riportare un’altra versione dei fatti, per quello che ho potuto raccogliere come fonti, e non convinto su quanto è stato proposto con l’articolo del Sig. Tornielli, ho cercato di dare una (mia) risposta a quanto affermato. Spero che il Sig. Tornielli possa leggere la mia riflessione e se vuole correggere qualche mio “errore” sarò ben lieto di prenderne atto. Alcune informazioni rinviano a dei link web per comodità di consultazioni, per esse si può leggere: Luca Rastello, La guerra in casa, Einaudi Editore, 1998. The “Communist Hypothesis,” as we can call this, is an attempt to demonize Bishop Zanic, which, if successful, would neutralize the local Ordinary’s influence over the “phenomenon Medjugorje.” The opposition of the local Ordinary removed would undoubtedly affect the Roman (“Ruini”) Commission. Laurentin himself stated in one of his books that the local Ordinary’s opposition is a significant factor to Rome. The problem with the “Communism Hypothesis” is what Belanger points out: it does not take into consideration the intellectual, spiritual and pastoral integrity of Bishop Zanic (and, by extension, Bishop Peric). Zanic stood on very firm theological (not political) grounds when he decided it was not Our Lady appearing in Medjugorje. The Rome Reports article was nothing more than simple propaganda. If Tornielli wishes to go this route, then I extend to him a personal challenge to debate me in public over the phenomenon Medjugorje. Il “Ipotesi comunista,” come possiamo denominare questo, è un tentativo di “demonize” il Msg. Zanic, che, se riuscito, abbia neutralizzato il Ordinario locale influenza di sopra il “fenomeno Medjugorje.” L’opposizione dell’ordinario locale rimossa interesserebbe indubbiamente il romano (“Ruini”) Commissione. Laurentin egli stesso indicato in uno dei suoi libri che l’oppozione della Ordinario locale è un fattore significativo a Roma. Il problema con il “Ipotesi comunista” è che cosa Belanger precisa: non prende considerazione nell’integrità intellettuale, spiritosa e pastorale del Msg. Zanic (e, dall’estensione, del Msg. Peric). Zanic si è levato in piedi per i motivi (non politici) teologici molto costanti quando ha deciso che non era la nostra signora che compare in Medjugorje. L’articolo Rome Reports era nient’altro che la propaganda semplice. Se Tornielli desidera andare questo itinerario, quindi estendo a lui una sfida personale per dibatterla in pubblico sopra il fenomeno Medjugorje. Thank you for giving me the opportunity to correct my perception of your thoughts and writings and even to amend myself, if my critique is erroneous, or worst, inequitable. I will come back to you tomorrow. My answer will bear on my main concern: an insinuative attack against the intellectual, spiritual and pastoral integrity of the former Ordinary of Mostar. I don’t put into question that the Yugoslav communist regime has tried “to control and influence the Medjugorje phenomenon”, and “influence Bishop Zanic” — we agree on that. My main point is that you convey the allegation that the Secret Service so heavily influenced Mgr Zanic’s decision that he changed completely his position from January 1982 — does the choice of that date point to a specific historical document? — making him a tool of the communist regime, thus its marionette concerning Medjugorje. As if the Ordinary had no legitimate intimate intellectual, spiritual and pastoral motive for the change of his initial spontaneous and positive assessment of the supernatural quality of the Medjugorje events — completely independent of the regime’s political stratagems. In the meantime, if you think it can help to enlighten me, would you be so kind to send me an electronic version of your Italian interview with Mr. Ivkovic and specify if I may share its content with my readers? I’m ignorant (please, sorry for my bad english also), but no so ignorant as you suppose in your article. First of all, I got a complete translation of the original documents published by Zarko Ivkovic, not only of his article in the book. 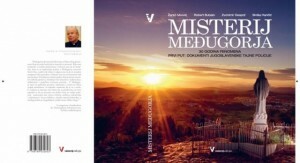 I made an interview with Antonio Socci because he wrote about Medjugorje a well known book in Italy. You read the article in Vatican Insider website, but in the original newspaper printed edition of La Stampa the interview was published separated in a different article. Is a fact that the communist were trying to control and influence Medjugorje phenomenon, and that they were trying to influence bishop Zanic. I don’t think (and I did not write) Zanic was “a blind marionette of the Yugoslav communist regime”. But I think these documents are important: the direct or indirect influence of the communist regime in Medjugorje is a historical issue, and it needs to be studied.